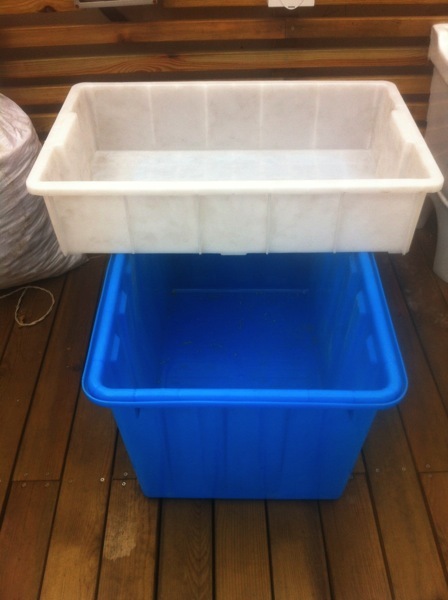 A lot of people have been asking about simple DIY aquaponic system for balcony or small rooftop. Working with a group of kids from CYPA River, Fluffy, Christina, Pearl, and Nancy, we have designed and build a small system that with components easily source from Taobao and very little modification. 65cm(length)x36cm(width)x46cm(height) food safe plastic tank. These tanks are commonly used for seafood transport and are graded as food safe. 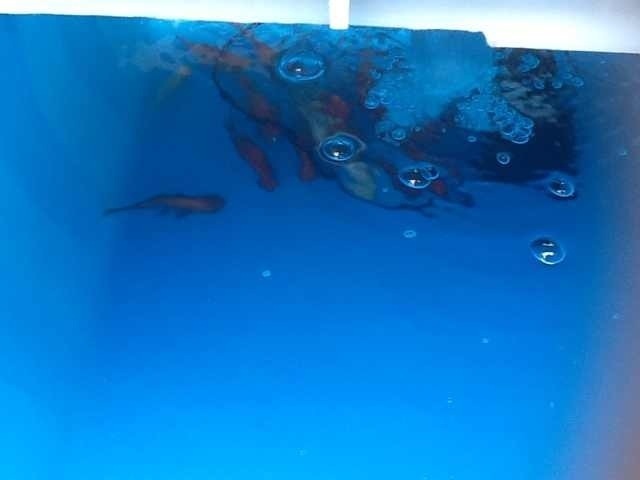 Plenty of them to be found on Taobao and they are safe for raising fish. 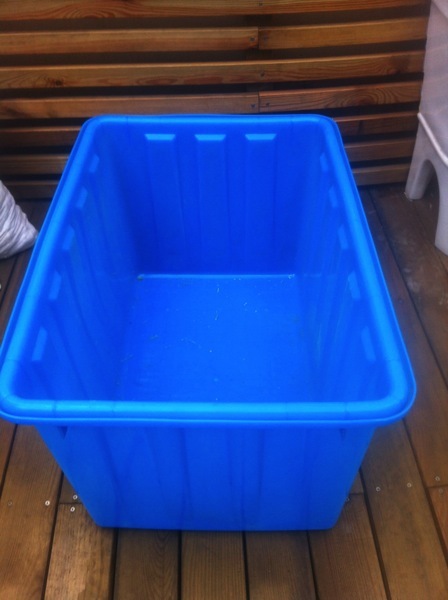 66(cm)x41(cm)x15(cm) food safe plastic container for grown bed. Drill a 5cm hole in the middle. 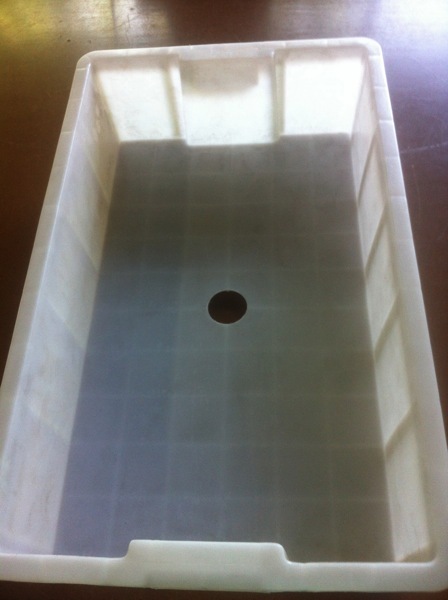 Place the grow bed on top of the tank. Prepare a 30cm long and 5cm diameter PVC pipe with holes. Water pump from aquarium shop. Attach the pipe from water pump inside the grow bed. Add expanded clay into the grow bed that cover the hole on the pipe. 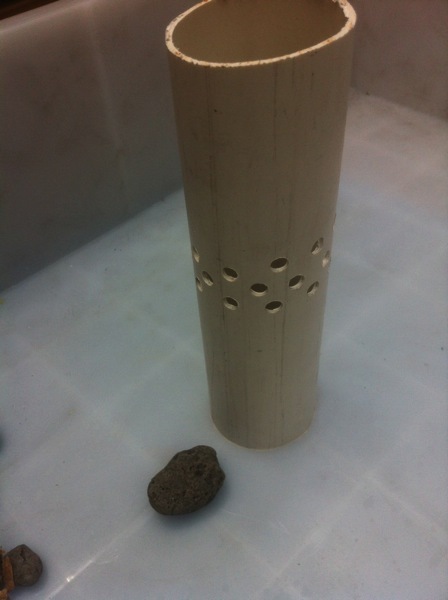 Adjust the height of pipe until the top layer of expanded clay covers the holes and kept dry. 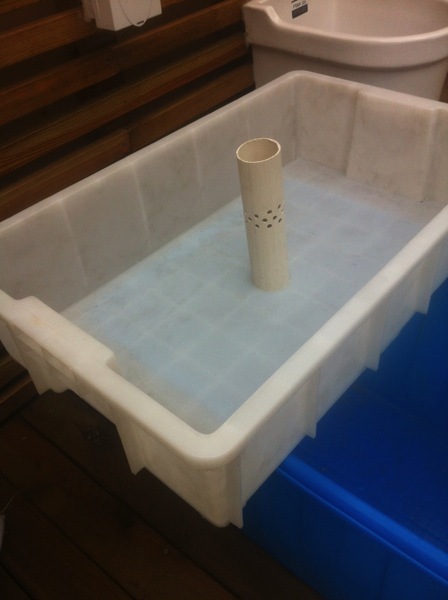 I must say David, this is a simple yet practical way to quickly build an aquaponics system. Well done! I am a classroom teacher in Chengdu. We are setting up 4 tanks like the one displayed here. If you do not mind can we ask you questions if we run into diffculties. Hi Rachel, this is totally great! Feel free to get in contact if you have any question. Also, I’d love to feature your system on the blog. Would you like to write up a short intro of you, your classroom, and photos of your setup? Hi David, I have some first pictures for you!!! My students took some of them!!! Its not complete yet maybe in a few weeks! Hi David I have some pictures for you!! Would you mind connecting on WeChat? I think i would be easier to send you he pictures that way. Sent you an email with my wechat id! 🙂 Look forward to connect! Hello! I am curious about what kind of classroom you have in Chengdu. 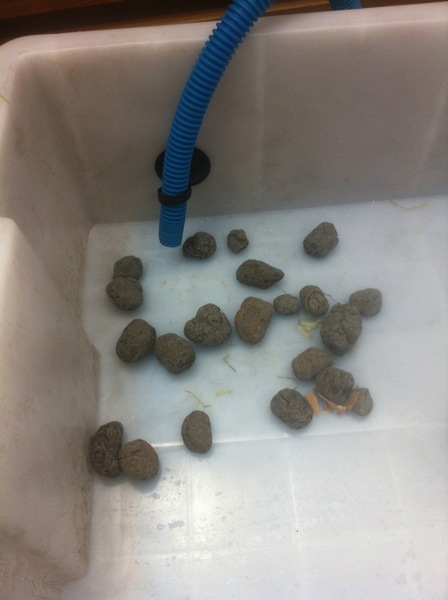 Since I am a student of No.7 high school who planes to do a project about aquaponics. Would you mind providing me some information of you? I would like to contact with others who are interested about this area. I live in Chengdu and am planning on building a IBC aquaponics system on my balcony. I was just wondering if I could get some advice from you as to your sources of expanded clay and pumps (taboo links would be great). David, this is amazing! I am going to try building one here in Atlantic Canada with my children. Do you think this would work in a warm house basement with lots of natural sunlight? Our winters here are fierce. Could you please sent me your wechat so I can add you as my contact. Just has something would like to ask you about the Aquaponics. Thanks a lot for this article. 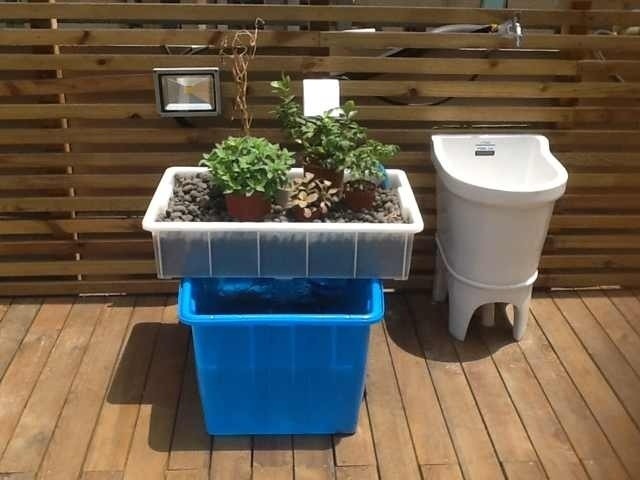 I’m writing an article in french on the aquaponics balcony systems. This system is simple. Less complicated than others I have studied. This will be my first time gardening this way. Why not adding a bell siphon on the standing pipe ? Hello, what type of pump did you use? 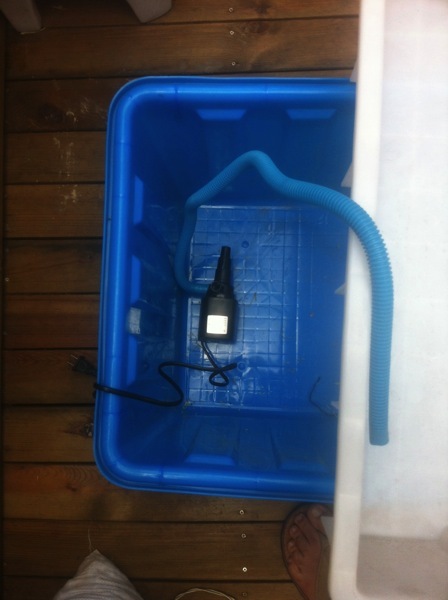 I hope to work with you if possible…I build aquaponic systems as small as a lunchbox demo to a semi-commercial system along with a few other gizmos for schools in BJ and for my group members in Beijing Aquaponics via WeChat. Here is my WeChat ID: -NIUCO- hope to see speak to you soon. Thank you so much – I have made my own!! !